When it comes to crafting workout clothes and accessories, the wholesale designers make sure to use the fabrics that can enhance the performances of the individuals, be it at gym or for sports. The main feature of an activewear item that makes it different from other usual clothes is the material from which it is produced, and this is kept in mind by retailers when they spruce up their fitness fashion stocks. 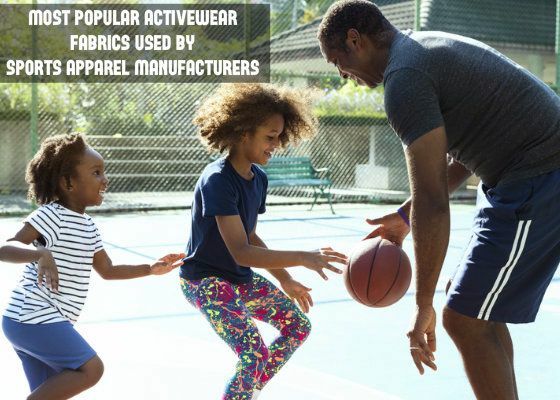 The leading and reliable wholesale sports apparel manufacturers weave the activewear items from the most superior quality technical fabrics, and here are some of them that will always trend. When it comes to performance enhancing organic fabric, the bamboo is the best material in the fitness fashion industry. The bamboo pulp gives way to a natural fabric that is lightweight, breathable, and moisture-wicking, and also works great to protect one's skin from the harmful ultraviolet rays. Manufacturers craft clothes from chemical-free bamboo, fused with cotton, spandex, organic cotton and much more. If you are winging between cotton and polyester, cotton get the upper hand always. It gives off less post-workout stench than polyester as synthetic fabrics allow stink-causing bacteria to thrive. Absorbing moisture cotton keeps your dry and fresh after workouts and for better features, you can go for cotton blends with spandex or lycra. Spandex is one synthetic material that puts the stretch in workout wear, offering offers an unrestricted range of motion, and then snapping back in place. This fabric is breathable and wicks moisture easily, and also has been the staple in form fitting exercise clothes. This top-rated fabric, spandex is quite popular, and lends freedom of movement, with less chafing, maximum comfort, and supported with antibacterial and moisture-wicking powers. Right now, these are the three most widely used materials for sports apparel manufacturers to craft the high quality and performance enhancing activewear items. How to Get Inspiration for Your Private Label Brand Designs!